So much is involved in buying a new car: deciding on a dealership, researching models, assessing your budget, making a list of feature “needs” and “wants”. You’ve given this purchase a lot of thought. What you might have forgotten is planning what to do with your current car. It doesn’t meet your needs anymore, but it’s still an asset. At Heidebreicht Chevrolet on Van Dyke Road, we want to help you use that asset to your advantage. Follow these simple steps to make sure you get the most out of your trade-in. A convertible won’t sell very well in the middle of an icy Michigan winter. 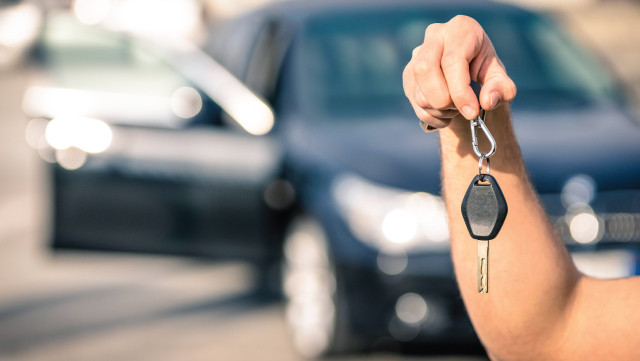 Dealerships usually inspect trade-ins for sale them on their pre-owned lots. If you bring them something they can’t easily sell or that they may have to store, they will have to offer you a lower price to balance that risk. Try to time your trade-in so you bring the dealer something they can sell quickly and you will be in a better bargaining position. Use sites like Kelley Blue Book, Auto Trader, or Edmunds.com to find out the estimated value of your car. You may also want to look on eBay for cars in similar conditions to yours to see how that affects the price. Don’t be afraid to bring these numbers to the dealership. A good salesman will have the same information, and have a realistic idea of your car’s value will speed up the bargaining process. Every bit of work the dealership has to put into getting your car sale-ready is money they take off your trade-in offer. Take your car to a reputable car wash before you bring it to trade in. If there are any lingering smoke, work, or pet odors, consider having it detailed to get the smell out. Vacuum the floors, seats, and trunk. Take all your personal belongings out in advance so the dealer can clearly see what they’re getting. Bring your service records when you make the trade-in. Having proof that you’ve maintained your car thoughtfully lets the sales staff give whoever buys your car some peace of mind. Even if your car has some small problems, knowing what they are can help the dealer establish a fair price. Don’t worry about paying for any major repairs before trade-in. It’s unlikely you’ll recoup the cost in the sale since the dealer can usually do the repairs for less than you can. Parachuting the trade” means to hide the fact that you have a trade-in until after the initial deal is closed. Many online sites recommend that drivers do this to avoid somehow being tricked into paying too much for your new car, but in reality, it works against you. For one thing, you should be working with a dealership with an honest reputation you can trust, not a shady lot where the sales staff is out to get your money. Regardless of when you mention your trade-in, it will still have the same value to the dealership. The best solution is to work out your trade-in first before you deal for the new car. That way you know what the best offer is before you spend the time negotiating you new car’s price. Our expertise is your advantage. We will always treat you fairly and ethically when trading in your vehicle. To talk about trade-ins or see our selection of new and pre-owned vehicles, visit our Washington showroom today!